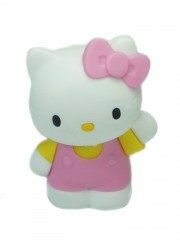 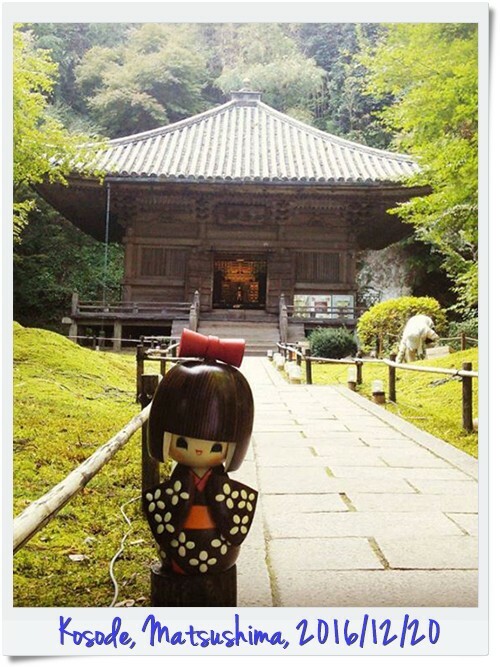 The name of this adorable little girl means 'short sleeves'. 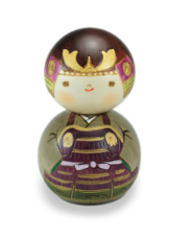 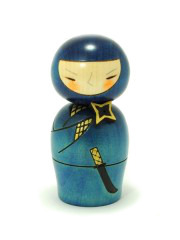 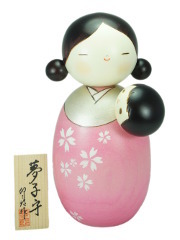 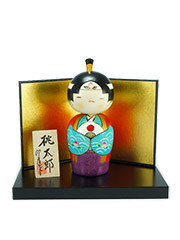 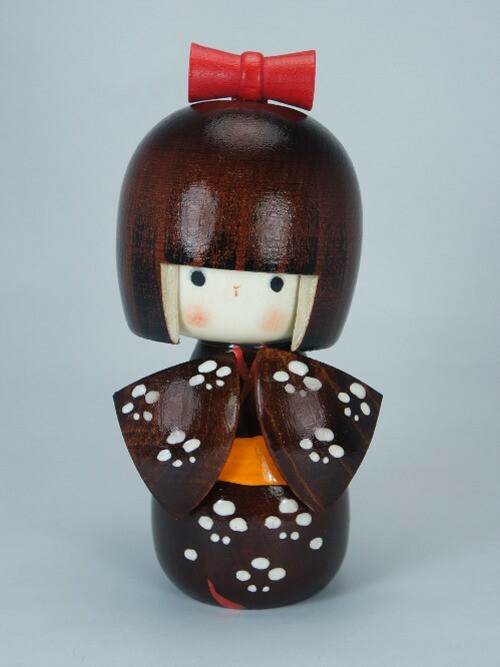 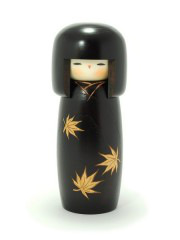 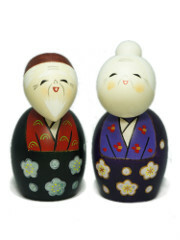 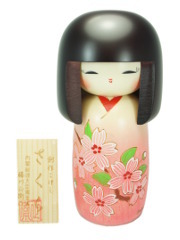 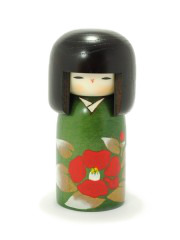 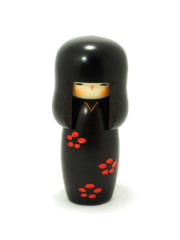 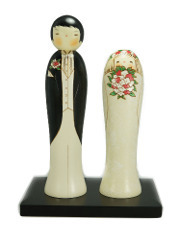 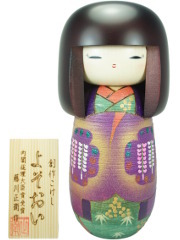 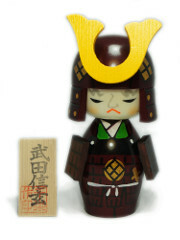 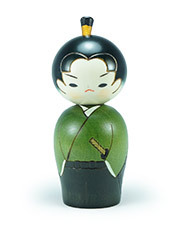 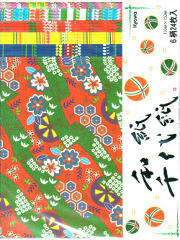 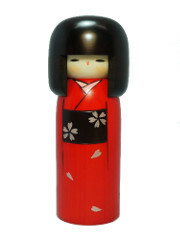 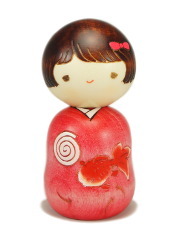 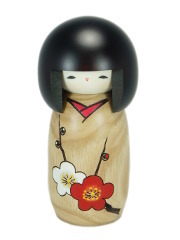 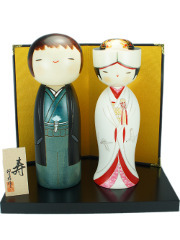 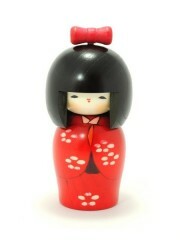 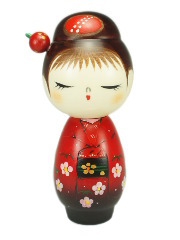 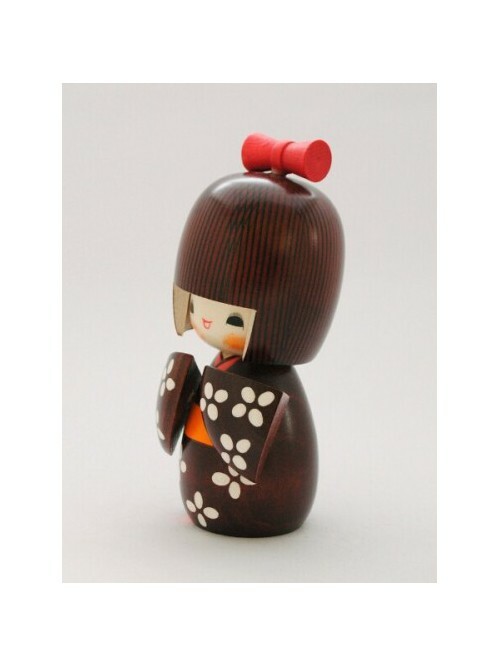 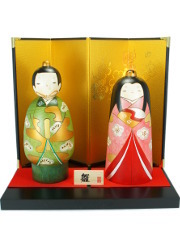 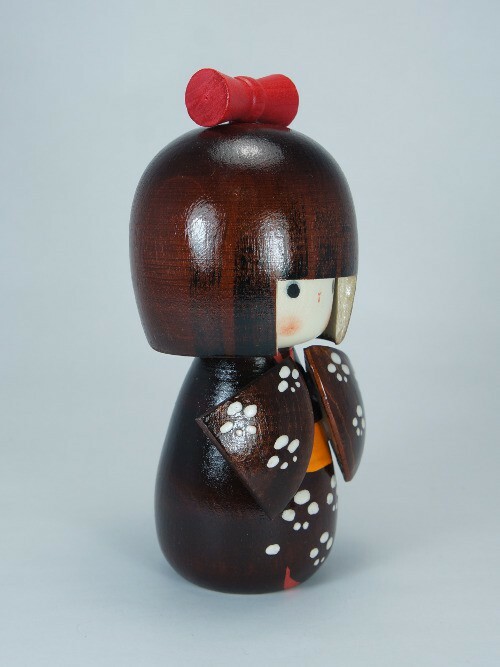 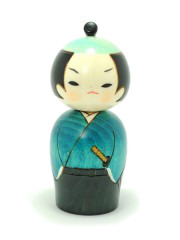 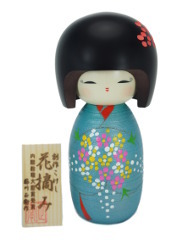 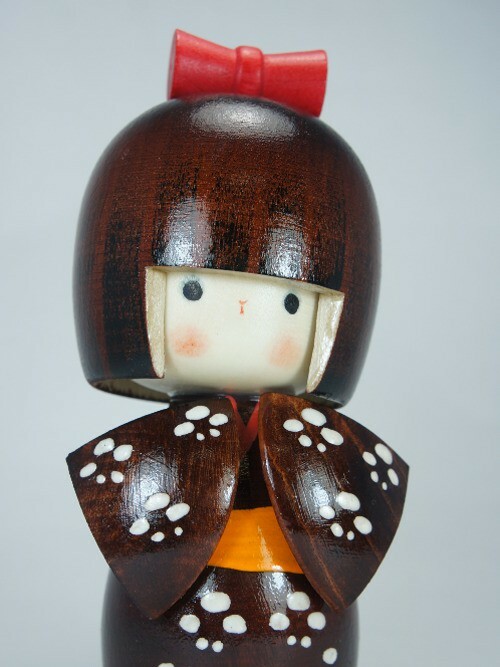 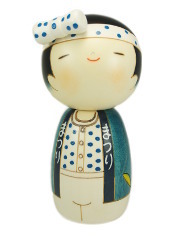 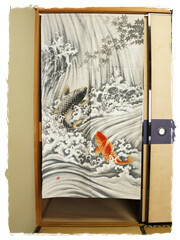 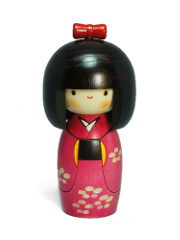 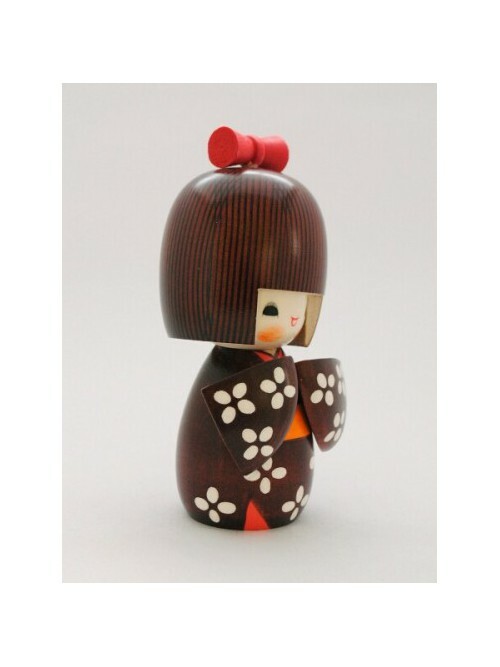 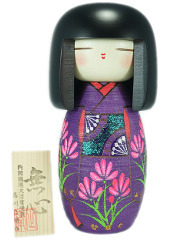 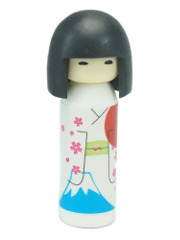 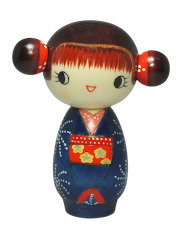 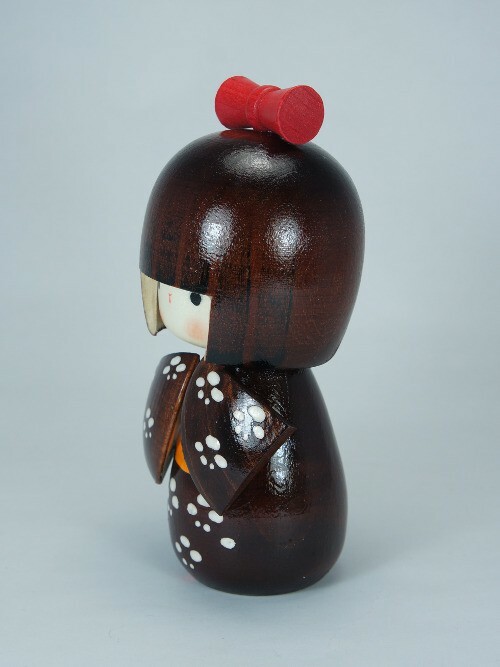 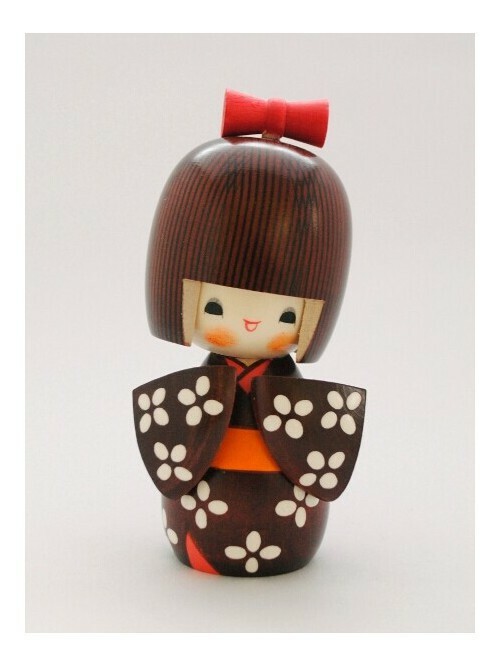 While usually kokeshi dolls are only made from two parts this model also have sleeves made from wood. 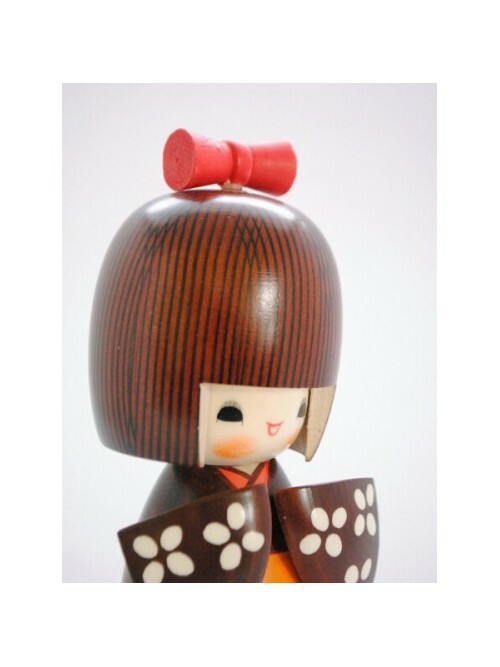 The red ribbon and the orange obi (belt) nicely contrast with the rest of the doll. 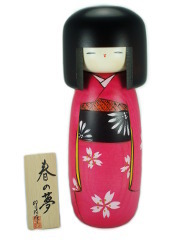 Also there is two more touches of red at the collar and at the bottom. 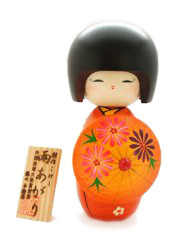 She also has a pretty high hair bowl compare to other models and she seems to laugh in the 16cm version, rather than smiling with the 13.5cm doll. 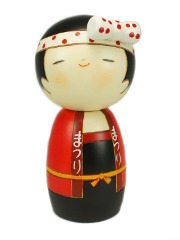 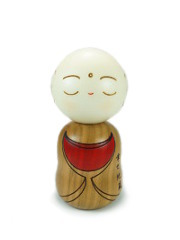 kokeshi très mignonne et originale de par son beau sourire. 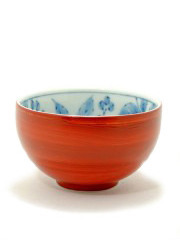 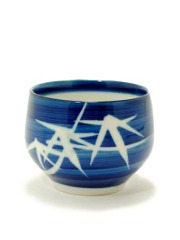 toujours très satisfaite des produits artisanaux.